Went to Dr. Frank Dixon’s lecture, by grace of “Shiny”. Received at the door the accompanying small card which was very puzzling to us all, until Prof. Spahr said write thereon the name of the lecturer you thought best. I’ve heard three, and Dr. Dixon is my choice. However, I could not rate “Corsets”, “Socialism.” Jessie Mit and I had to keep on our coats. I read Latin at six o’clock the next morning. Apr. 13th. Wrote “Higher Education for M.S.C.I Graduates,” for the M.S.C.I. Annual. Also, sent “Hamlet” and two of Charlie Blevins poems. 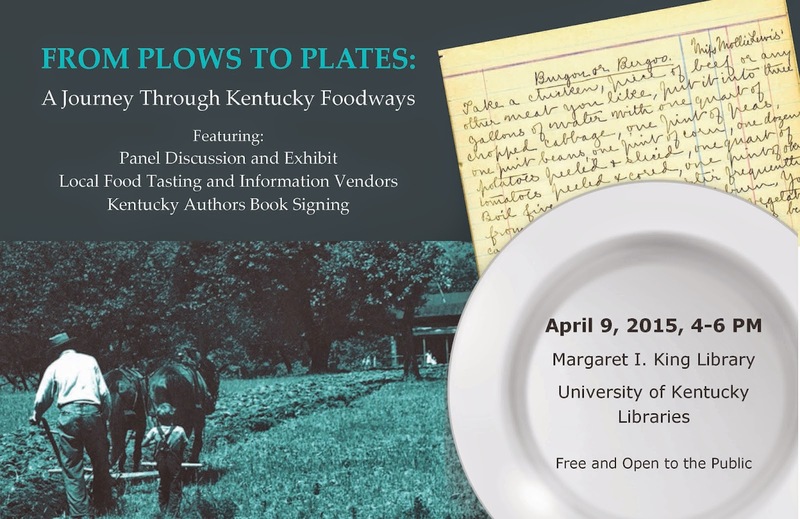 Please join us for a panel discussion and exhibit about Kentucky foodways at 4:00 pm, April 9 in the Great Hall of the Margaret I. King Library. A local foods reception, resource fair, and University Press of Kentucky authors book signing will follow. 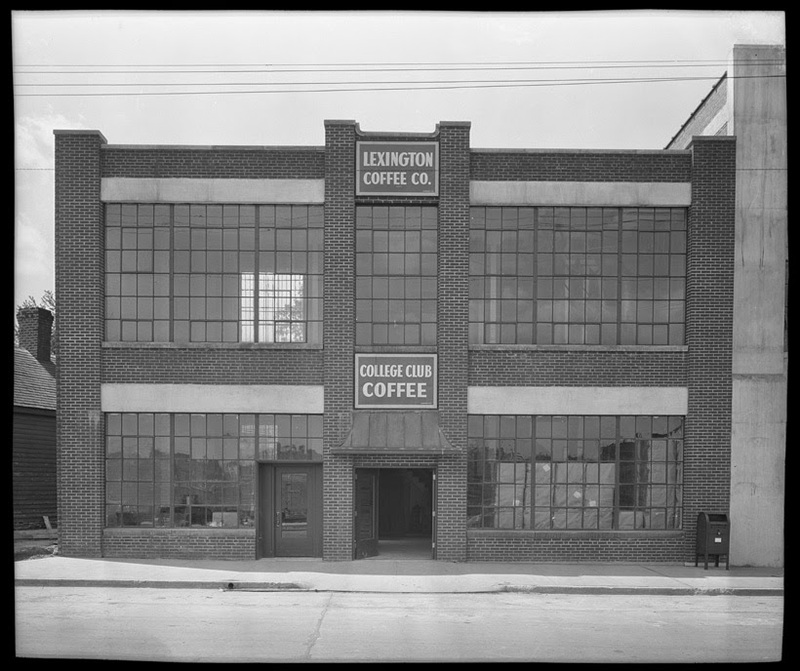 Lexington Coffee Co. building in April of 1930, home of the College Coffee Club. The building currently houses the Group CJ Advertising Studio.